The Institute of Navigation’s (ION) Satellite Division presented Dr. Yu Jiao with its Bradford W. Parkinson Award Sept.28, 2018 at the ION GNSS+Conference in Miami, Florida. 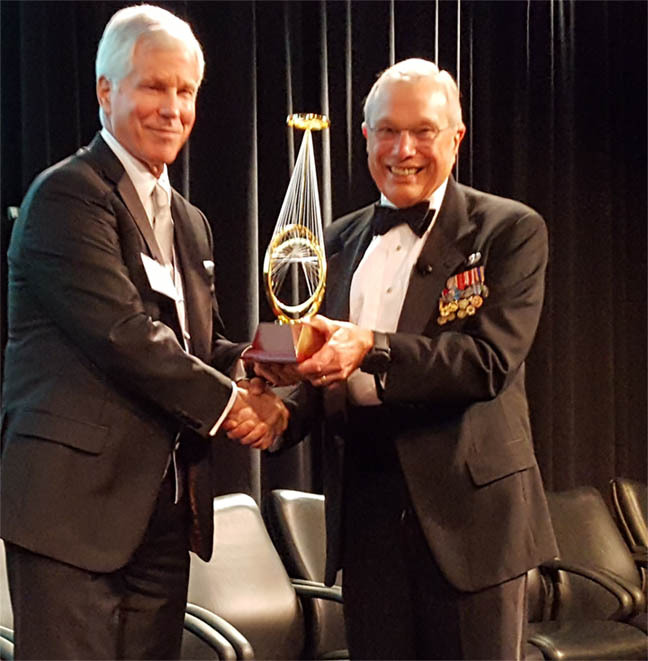 The Bradford W. Parkinson Award is granted annually to recognize an outstanding graduate student in the field of Global Navigation Satellite Systems (GNSS), and is presented in honor of Bradford W. Parkinson for his leadership in establishing the U.S. Global Positioning System and for his work on behalf of the Satellite Division of The Institute of Navigation. Any graduate student who is a member of the ION and is completing a degree program with an emphasis in GNSS technology, applications, or policy is eligible for the award. The ION awards were presented at a luncheon on Sept. 28 during this year’s ION GNSS+ conference in Miami. Next year’s conference will return to Miami. ION is the world’s premier professional society dedicated to advancing positioning, navigation and timing (PNT). The Institute is a national organization whose membership spans worldwide.